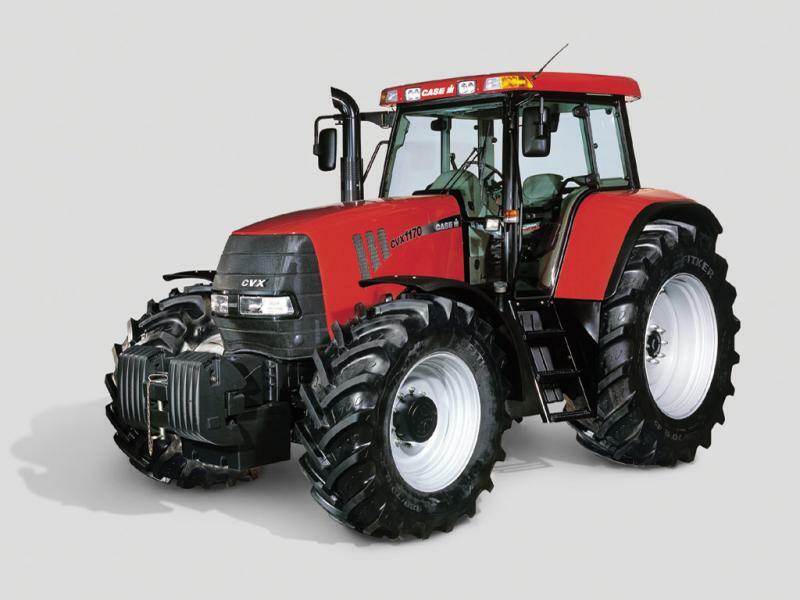 The CVX 1170 Profi 4wd tractor model is manufactured by Case IH. Find and download detailed specs and data sheets for this machine here. The Case IH CVX 1170 Profi is a 6.77t machine with engine which powers this model with up to 126kW or 168 horse power. The Case IH CVX 1170 Profi can be grouped in the biggest machine segment in the 4wd tractors category. The CVX 1170 Profi’s size is 2.43m x 4.77m x 3m. The Case IH CVX 1170 Profi has been equipped and sold with Cabin, Aircondition and Air brakes. ISO Bus and Front PTO are not provided on this model as of 2007. There are more detailed specifications and machine descriptions available in the original Case IH CVX 1170 Profi specs data sheet. You can download it for free in German on LECTURA Specs. The production stopped in 2007, where this CVX 1170 Profi was available at a new list price between €87000 and €111000. For more detailed information about pricing and current residual values, check out the LECTURA Valuation system. At present, 158 other 4wd tractors, which range from 27kW up to 350kW are produced by Case IH. Of these, Farmall 55 C Komfort, Farmall 75 C Basis and also Farmall 65 C Komfort are the most frequently visited on LECTURA Specs. Currently, 158 models of the CVX 1170 Profi 4wd tractor exist, at an average sale value of €34800 at 13 years of age. Want more detailed specifications? Download the latest Case IH CVX 1170 Profi specs data sheet on LECTURA Specs today!